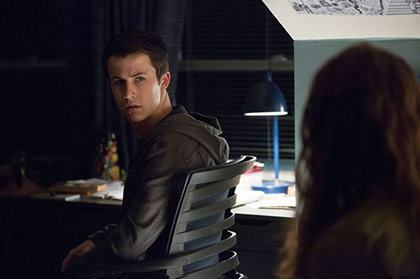 This post contains spoilers for season two of 13 Reasons Why. Justin has the honor of delivering the last line on season two of 13 Reasons Why. He asks Jessica and Clay this very question outside Liberty High's annual Spring Fling dance as sirens wail nearby. Netflix has yet to confirm a third season for the teen drama, but things definitely feel unfinished once the credits roll. Below, questions you might have after taking a deep breath in wake of everything, everything that's happened. What's going to happen to Tyler? 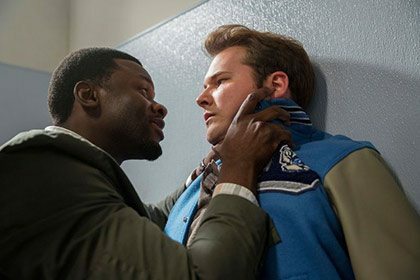 In the final minutes of the season two finale, Clay convinces Tyler to not go through with his shooting. Tony and his red car whip by, pick up Tyler, and the two drive away while Clay's left behind with Tyler's rifle. Where will Tony and Tyler go? And what will Clay do with the gun? Will Chloe go through with her pregnancy? At the Spring Fling, Chloe bumps into Jessica in the girls' bathroom and tells her she's pregnant. Chances are, Bryce is the father, and Chloe looks terrified. Will Chloe tell anyone else? Will she keep the baby? Is Hannah's story officially over? Her service felt like closure for everyone and at the wake, Olivia revealed to Clay that she's moving to New York to live out Hannah's dream. If the show goes through with a third season, how will Hannah be incorporated? He stops "seeing' her after the service, so having the "ghost of Hannah" return feels redundant. Will Jessica and Justin tell Alex about their Spring Fling hookup? Jessica officially went to the Spring Fling with Alex, and they even kissed on the dance floor, but she ended up hooking up with Justin in the boys' locker room. Does this mean they'll get back together? And what will Alex think of this? Is Justin's stepdad "Meth Seth" going to hurt him? Seth was shown parked briefly outside Monet's during Hannah's wake, staring at Justin, who had just agreed to be adopted by Clay and his parents. With Justin's mom currently missing, along with the money Justin took from the house (episode 9), Seth probably has a few bones to pick with Justin. Will Monty get punished for what he did to Tyler? Despite Bryce telling Monty to not do anything, Monty assaults Tyler in the bathroom. Two others were also present and helped Monty. Will they speak up? And more importantly, if Tyler resurfaces, will he report on Monty? There's gotta be more to Nina's story, right? Turns out, Nina was the one who broke into Clay's car and took the box of Polaroids from the Clubhouse. In the season finale, she's shown burning every single photo of every girl who's ever been assaulted by Bryce and his friends. We hear her story, briefly, in Jessica's testimony against Bryce earlier on the episode, but something feels incomplete. 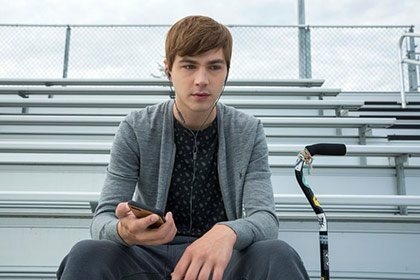 If 13 Reasons Why season three is a go, including more of Nina's storyline would be a smart move. Is this it for Skye? 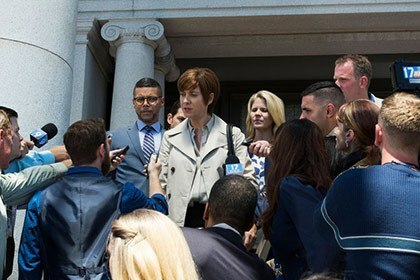 On episode 8, it's revealed that Skye has been in a mental health facility to treat her bipolar disorder and will leave Liberty High to live with her aunt and uncle in another state. She tells Clay, "I can let you go and still love you. I'll always love you." Considering how much screen time she had on earlier episodes, and how much of an impact her absence had on Clay, it only feels right to bring her back for season three. And is this it for Mr. Porter? Is the show in an alternate universe? The date of the 2018 Spring Fling was Saturday, April 20 but IRL, April 20 was a Friday this year. What is the show trying to say?